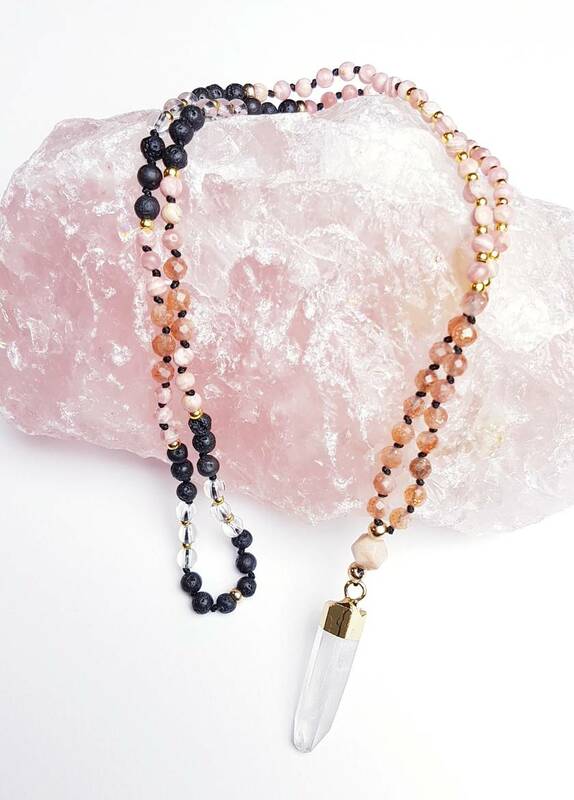 This "mini mala" is absolutely stunning. The 4mm beads are super light and easy to wear. 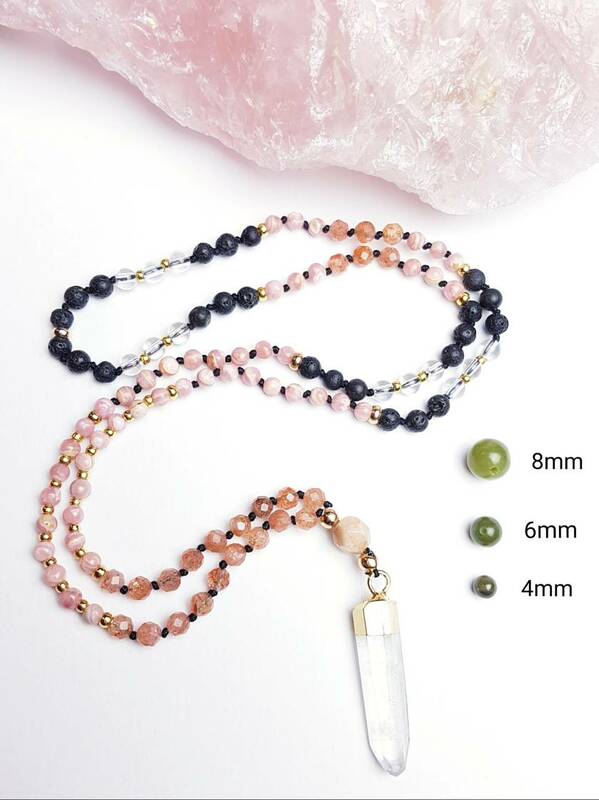 Allowing you to wear your mala while working out if you wanted to. 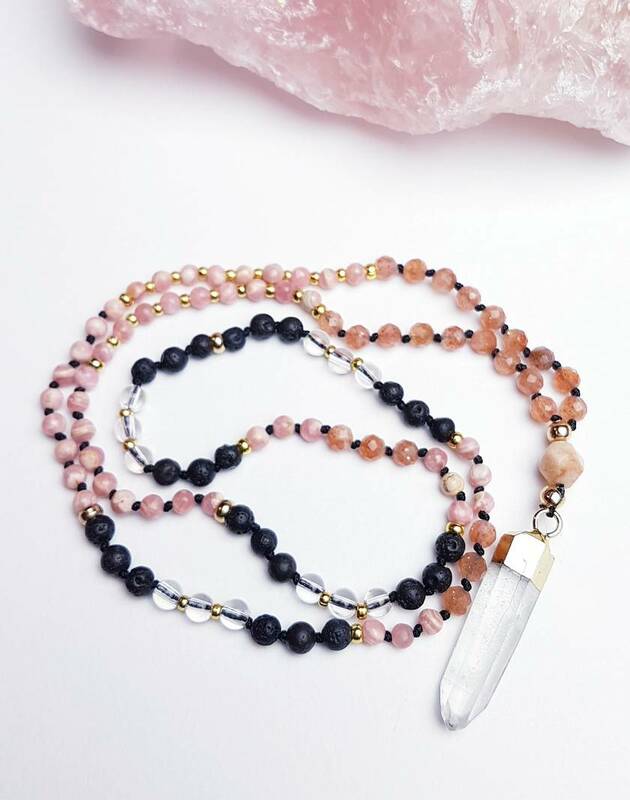 Sparkling AAA grade sunstones and delicate pinks of the AAA grade rhodocrosite stones are complimented by the powerful clear quartz and the rough and porous basalt stones. 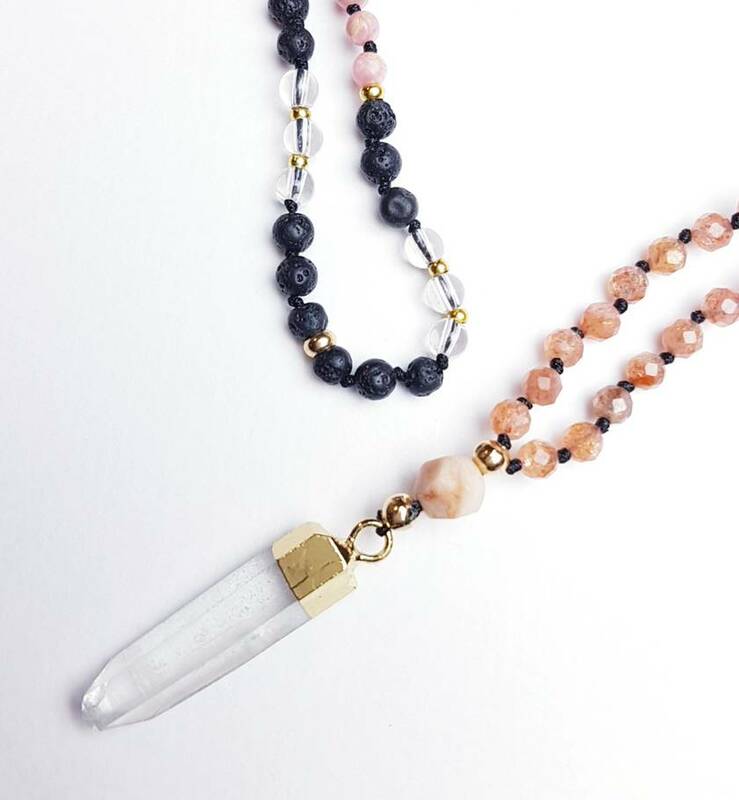 The clear quarts crystal point pendant completes the uniqueness of this one of a kind mini mala. Super light, easy to wear, understated, and unique. What more could you ask for in a mala. Rhodochrosite is a self-confidence booster owing to bringing a sense of realistic balance to life. It is also used to help cope with problems in life in a graceful, balanced manner without avoidance or dental. Basalt is a stone of strength and courage, it allows one the opportunity for stability throughout changes in their life. If you are going through a lot of shifts in your life then basalt would be a helpful stone for you. Basalt helps to diminish the negative aspects of one’s character and allows one to see where modification of your character can be helpful. Since basalt was once molten lava, it has the power of fire within. One drawn to basalt may need some fire energy in their life. All my malas are made in an environment of peace and harmony, each strand is lovingly created by me and infused with positive energies.